Dallas Hodge was born in 1954 in Detroit Michigan. He started playing the guitar at age 13. He went on to lead several bands over the next few years and finally teamed up with his brother Catfish Hodge in 1970 as the Catfish Hodge Band, recording several albums together. In 1978, he moved to Santa Cruz, California where he met and teamed up this time with guitarist Steve Marriott of Humble Pie fame. They got a deal with Atlantic Records, but because of the business as it is, they (the record company) wanted Steve to put together a band with as many of the originals as possible from Humble Pie. So he had to leave Dallas and the boys for the sake of his career. Steve was not real happy about this, but he and the band knew it was best. Dallas began playing on his own again with his band Deluxe continuing his career plus sitting in with artists such as Johnny Winter in '81 along with Delbert McClinton and Bonnie Raitt just to name a few. In 1983, he moved to Los Angeles where he and his brother Catfish teamed up once again to form the Hodge Brothers Band. This band was around for several years playing with some of the best L.A. musicians, tearing up the local music scene. The members were Dave "Woody" Woodford (who played with Aerosmith, Bonnie Raitt, Jeff Golub and many others) on saxophone, Larry Zack on drums (Jackson Brown), Marty Grebb on piano and sax (The Buckinghams, Bonnie Raitt), Skip Van Winkl(of Teegarden& Van Winkl, Bob Seger and the Robbie Krieger Band) on Hammond B3 organ and kicking bass pedals with both feet. Dallas was also featured on several of Catfish's albums. They even did a tour for a record called "Chicken Leg's" with the likes of Bonnie Raitt, Paul Barrere (Little Feat), Cornell Dupree (Aretha Franklin) and Freebo all in the same band! From this period until 2000, Dallas also had a band in Detroit known as the Detroit Allstars which featured Drew Abbott and Chris Campbell from Bob Seger's Silver Bullet Band as well as a host of others, including his longtime piano man Tim "The Professor" Sparling. They would meet once or twice a year to play in the Michigan area.. In the year 2000, he was offered the task of fronting the legendary band Canned Heat, one of the headliners at the original Woodstock Festival. "People have told me that when they hear and see what I am all about that I should share my music with the people. I have always played for the love of the music. Lord knows there are many other things you can do for money, but the music is always for the love! I enjoyed playing with Canned Heat as it has its own style of music," says Hodge. Which brings us to now!!!!!!! Below is the first review on the cd. 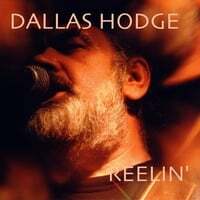 "If a musical pedigree means anything toward a quality CD, then Dallas Hodge has the goods." Since leaving the legendary CANNED HEAT, Dallas has pushed on with his Solo career, and with his own style of Motor City Rocking Rhythm and Blues. "People have told me that when they hear and see what I am all about, that I should share my music with the people. I have always played for the love of the music. Lord knows there are many other things you can do for money, but the music is always for the love!” Dallas says. “Reelin’” is Dallas’s first solo CD, containing originals and reworked classics. “I recorded it to document who I am and what I do, more for my parents than anybody else....There was no attempt at making a ‘hit’ record, just good music,” Hodge wrote in April of this year. Well, Dallas should feel proud because that is exactly what he accomplished, and “good music” it is. The set opener is “Divin’ Duck” which is basically Hodge’s arrangement and own take of “If the River Was Whiskey.” The mid-tempo blues starts with a pop from Tony Braunagel on drums and ivory tinkling by Rick Solem. Dallas’s whiskey-gruff vocals are nicely punctuated at the end of each sung line by album recorder and co-producer Tom Maclear on slide guitar. Hodge’s own gold top Les Paul guitar works above the Terry Wilson bass line, and Maclear and Solem take tasty mid song solos. The song works well to introduce what Hodge’s music is about and leaves the door open for surprises to come. Another change up is thrown our way with track 4, a re-work, with new lyrics, of Detroit friend Bob Seger’s “Against the Wind.” Titled “In the Wind,” the opening guitar switches to acoustic courtesy of Greg Beck. Skip Van Winkl plays Hammond B3 while another guest, Larry Zack, adds drums. Lamenting the loss of a friend, “Pops,” the song gets ethereal treatment from Maclear’s steel guitar and Solem’s piano. Blues fans will enjoy Hodge’s take on an old BB King song, “Don’t Want Nobody.” Letting the little woman know that he knows what is going on, Hodge sings, “Tell the Carnation milk man not to leave no more milk. He’s been leavin’ too much cream lately, baby; may need to take some insurance on himself.” “Up the Country” gives a nod to Hodge’s Canned Heat days, but this version is at a slower tempo with outstanding slide guitar. Muddy Waters’ “Rock Me Babe” is given the Hodge treatment here. There was no need to re-invent the “wagon wheel,” just keep it rolling. The title track and “Holiday” (by Catfish) are rock and rollers that showcase Hodge’s “Motor City” sound. “High Roller,” the other Catfish song, has a slow Southern rock style with slide guitar, road house piano, and backing vocals by Teresa James and Kelly “Kacee” Clanton. Again, Hodge should be proud of this solid set of music showcasing what he does. While he wasn’t trying to create anything unique, there are enough surprises, thoughtful arrangements, and solid playing from guests and his own years’ experiences to make the CD interesting and enjoyable. Great cd and we (myself and my colleague Col)really dig all the tracks. We like it that much that on hearing a track from it by accident (Divin' Duck) we sent off to CDBaby for two copies of it as quick as we could, and are currently playing it all the time. Dallas GREAT JOB!!! You sound great..Congratulations on your finished product..I love this CD.. Thank you very much for making a song about my dad (In the Wind)..You are a great friend..My dad loved you as much as you loved him!! Again Congratulations And Thank you very much!!!! Thank you so much for remembering/honering my brother Joe, my brother Papa Joe. The song was amazing. This is one way for people to get a glimps of my brother, if they only knew his voice thats what i remember. Thank you SO very much. Sir, AWSOM JOB that is a BIG CONGRATULATIONS to you. I thank you very much that is my brother you wrote about. i never meet you but a friend of Joe's must be a great person because he is and always will be a great person my brother.Thank you again love you and may God continue to bless you.